In today’s multilingual world, business leaders need to provide high-end e-learning, marketing, explainer, testimonial, instructional and other corporate videos for diverse audiences. Whether you plan to show your multilingual video on YouTube, your website or network television, 24 Hour Translation provides voiceover translation services that meet your requirements. Leading corporations, institutions and organizations the world over choose 24 Hour Translation for our leading multilingual voiceover studio capabilities, exceptional voice talent and leading project management expertise. When your audiovisual project requires time-coded translations, we can recommend a strategy that fits into the parameters of your project and delivers professional results. 24 Hour Translation is a leading translation provider that is based in Dallas and Houston, two of the fastest growing metropolitan areas in the country. Our goal is to provide exceptional translation services, quickly and affordably. 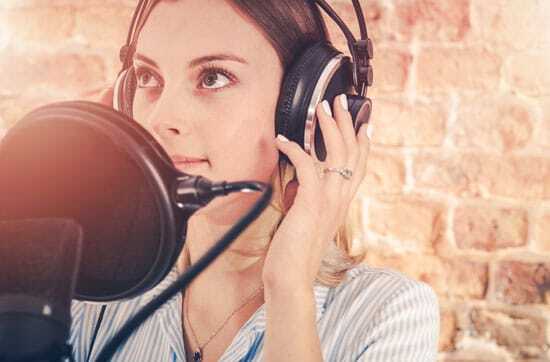 24 Hour Translation is a full-service linguistics agency that offers voiceovers, dubbing and subtitling for your audiovisual translation (AVT) project. When your company needs the exceptional quality, budget friendly, outstanding service and on time delivery, you can count on us. Our team of professional voice artists spans 60 languages and 200 voiceover translators, allowing us to offer you options and voice samples to match your project to the best translator and ensure your complete satisfaction. We can provide time-coded transcriptions of your audio files in more than 60 languages and translate the for open or closed captioning. Whether your need male or female voice talent, we have the resources to meet your needs. Since we use translators who are local to the language and dialect of the intended script, you are assured culturally sensitive translation and transcreation, text reduction, script adaptation, proof-reading, and process control and quality inspections at every step. Businesses today must be prepared for multilingual inbound callers who require interactive call scripts, messages, and prompts in their local language and dialects. 24 Hour Translation is ready to assist your business and make it ready for the global challenges of today and tomorrow.